Please join us for the first meeting of the year! 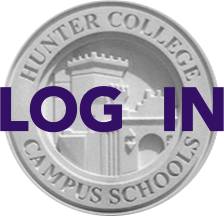 Principal Tony Fisher and chairs of Art & Music, English/Communication & Theatre, Foreign Languages, Health/Physical Education, Mathematics, Science, and Social Studies departments will talk about the opportunities and challenges for the upcoming year at Hunter. You'll hear from our faculty leaders, who will address topics relevant to all grades. Don't miss this chance to learn about what's in store at Hunter! Send your Questions in Advance: If you have questions, please submit them to Programming Chair Hayley Gorenberg at programming@hunterpta.org; please use the subject line "HCHS Faculty Question". Following the meeting, the PTA will supply minivan transportation to Flushing along the route of Queens Boulevard/Union Turnpike/Parsons Boulevard. To reserve a spot, please RSVP to Yunzhong Shu at bus@hunterpta.org by Tuesday, September 26th at noon and indicate "PTA meeting minivan" in the subject line. Most fall varsity sports have already started and are actively practicing for upcoming matches and meets. However, if your child is in Grades 6-8, middle school sports are just beginning. Meetings and tryouts begin this week. Students interested in a fall sport should show up at that team's interest meeting and/or come ready to play at the team tryout.